Today is the beginning of Week 3 of my April Spring Showers Promotion and it’s a GOOD one!!! 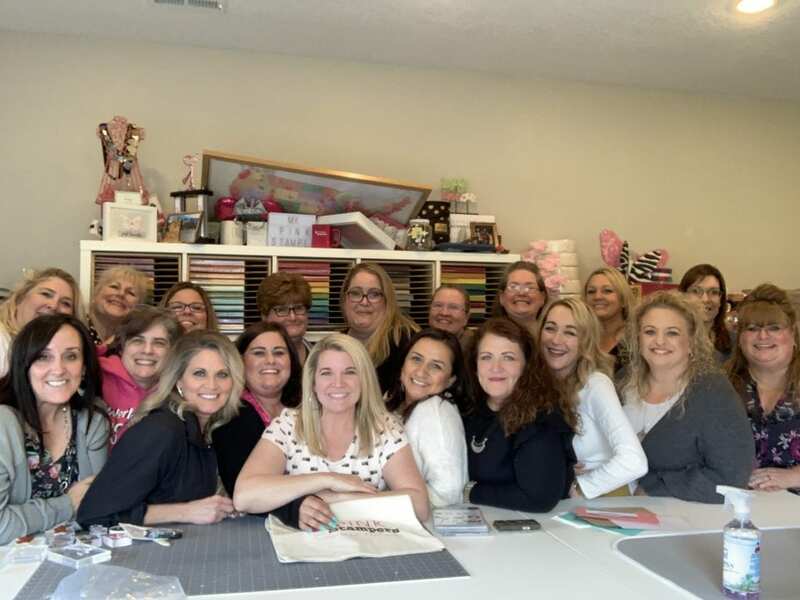 I had a wonderful weekend with Stampin’ Up! 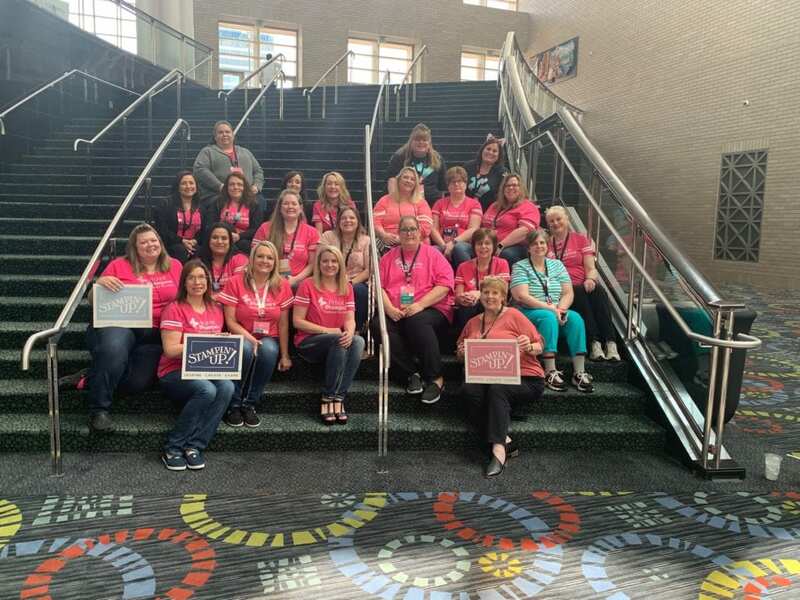 and some of my Pink Stamper team members at our biannual event! I started off the weekend by inviting those on my team, who were attending an event by my house, over for a team lunch and visit. 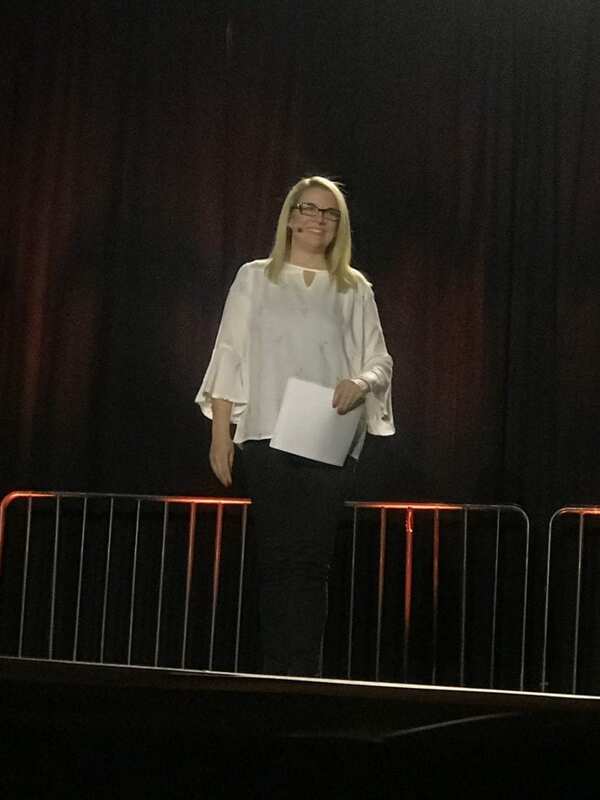 Friday night I was honored to be asked to be one of two main stage speakers at our Leader event called Centre Stage. Honestly, I was so nervous all day. I don’t remember EVER feeling that nervous! It all went well and I would definitely do it again. I had such a positive response and felt like it was helpful to some who were there. 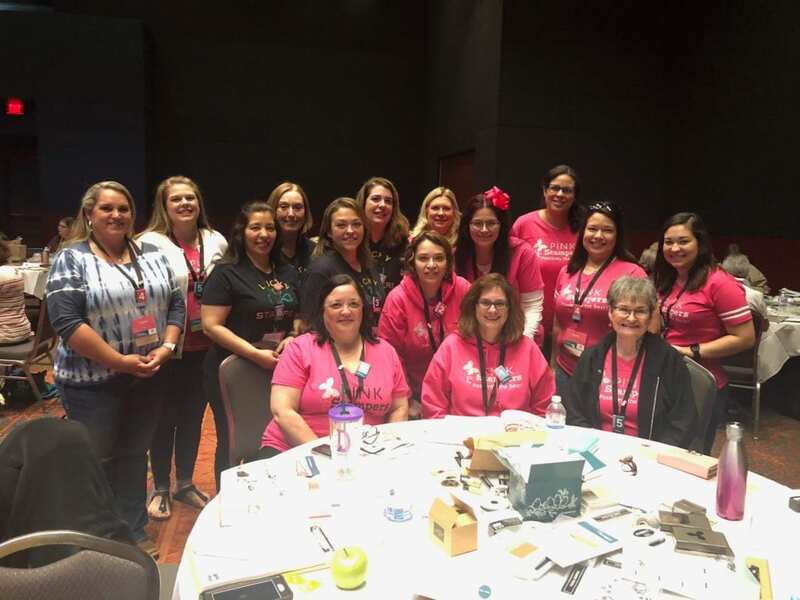 Saturday 90 of my team of Pink Stampers, around the USA, gathered at different locations for our biannual On Stage (AKA Convention)! I am so blessed to have such a wonderful group of team members. Have YOU ever thought of joining us? We would love to have you. 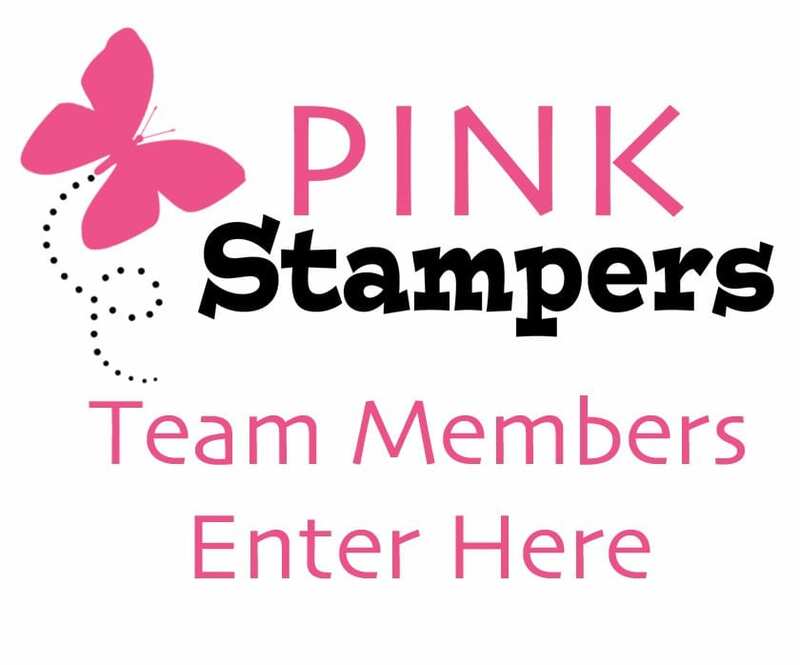 Click HERE to read all about the fun we have on our team and how you can become a Pink Stamper, too! Best part is that you can join us JUST to get your own discount and be a part of this wonderful community of fellowship, stamping, and friends! 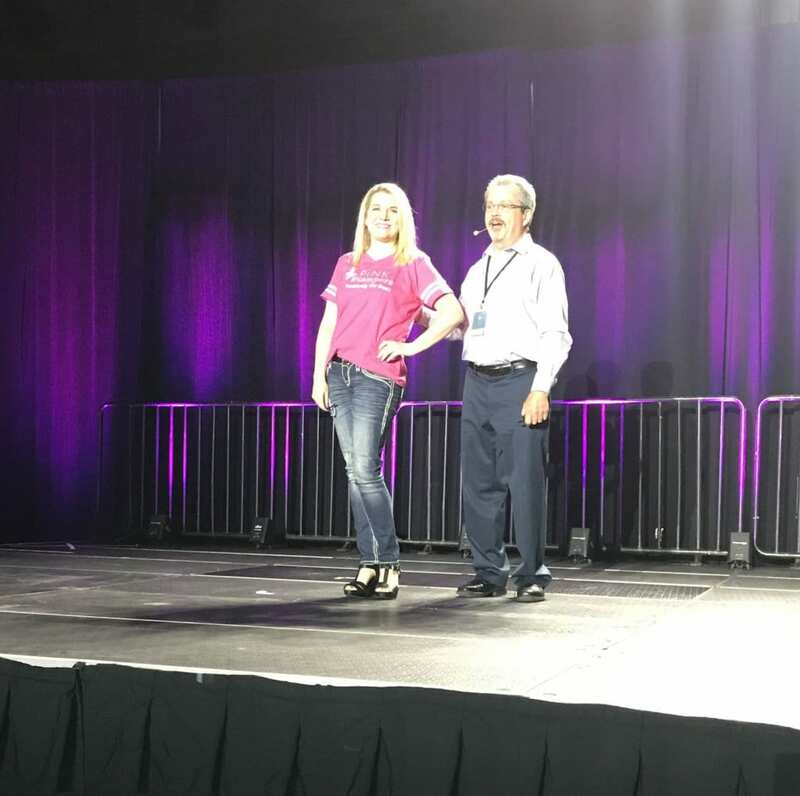 Saturday at our event, I was recognized for reaching a certain sales milestone. I am so grateful to work with a company who makes me feel needed and special by their recognitions. We got some amazing sneak peeks of our new upcoming catalog, too!!! Did you know that I send a FREE copy of our catalog to all current customers?! 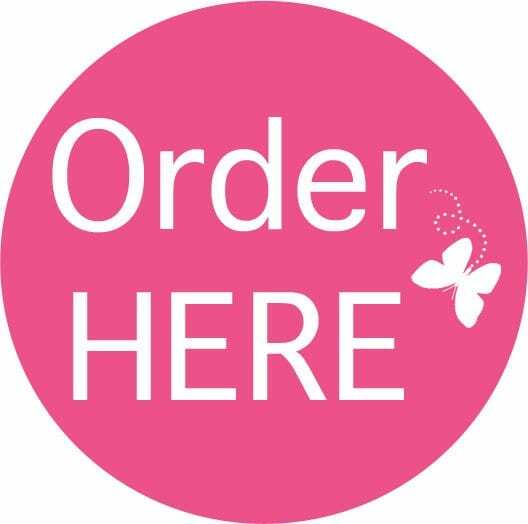 If you placed an order with me, signed up for a class, or are a current Paper Pumpkin subscriber, you are on my list! If you haven’t ordered from me yet and would like your own copy from me you just need to place any sized online order from me HERE! This Week’s Pink Candy Giveaway is another one of my homemade accessories bag filled with goodies! *Leave ONE comment on this post. « Stampin’ Up! Bike Ride Stamp Set Spotlight – Week 2 of Promotion! You are so talented. This bag is adorable!! This bag would be perfect for my mom! She absolutely loves anything flamingo! Robyn you are such an inspiration to others through your achievements. Congratulations! Looks like everyone enjoyed on stage. Congratulations on all of your accomplishments. Love the bag. I love your handmade bags. So nice that you were recognized for all your hard work! Your love for your job really shines through. The bag is super cute, too! I must say you look awesome up there on stage! Love that bag you made you are so talented. I will probably join your team when I’m finished remodeling my craft room — by June 1st I hope. Thanks for another awesome giveaway! I appreciate your generosity! I would love to go to On Stage one day. Congrats on another milestone. Looks like you and your team had a lot of fun. My goal is to go to on stage someday. Thanks for everything!! Congratulations on your milestone Robyn you are definitely a hard worker! Thanks for all you do. Fingers crossed for the bag.. love it! Love all you do and you do for us. Great job. Hopefully whenever I can retire I can attend Onstage. You all look like you have a wonderful time. Thank you Robyn for a chance to win this bag it is so cute! I can only dream of attending On Stage on day…hopefully, in the near future 🤞🤞🤞!!!! 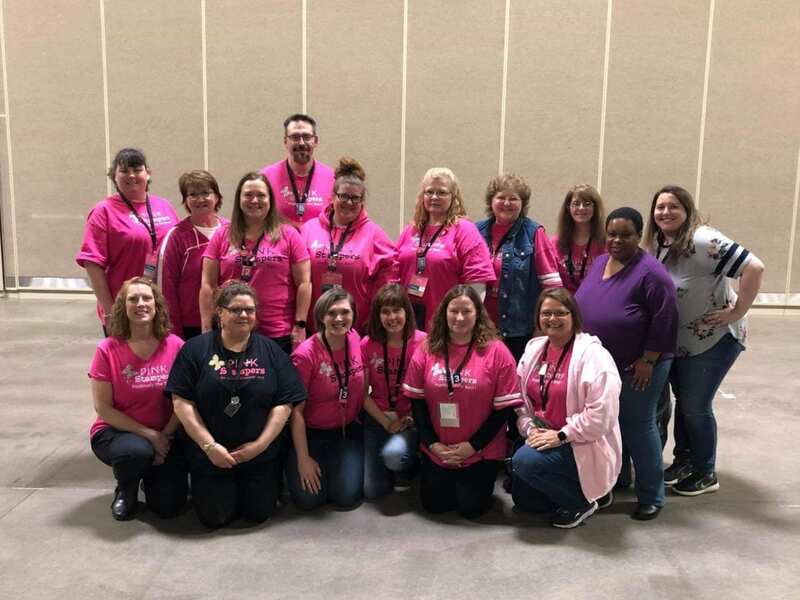 Thanks for all you do for all of us Pink Stampers!!! Love your on line classes. Can’t wait to see what you create from the new catalog! Love all you do for us and the flamingo bag is adorable! Love the cute Lil bag, and of course all you do for us! Congratulations, Robyn. You deserve it!! Congratulations Robyn, you’re the best! Thanks for the chance to win the cute flamingo bag! 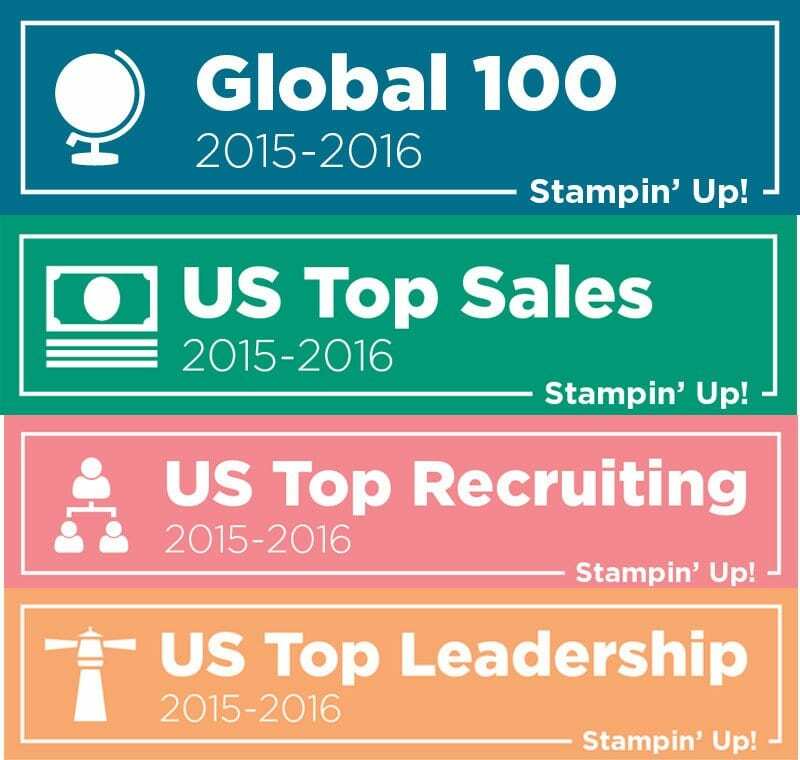 Congratulations on all of your accomplishments with Stampin UP! You are an amazing demonstrator As always thanks for all of the inspiration! 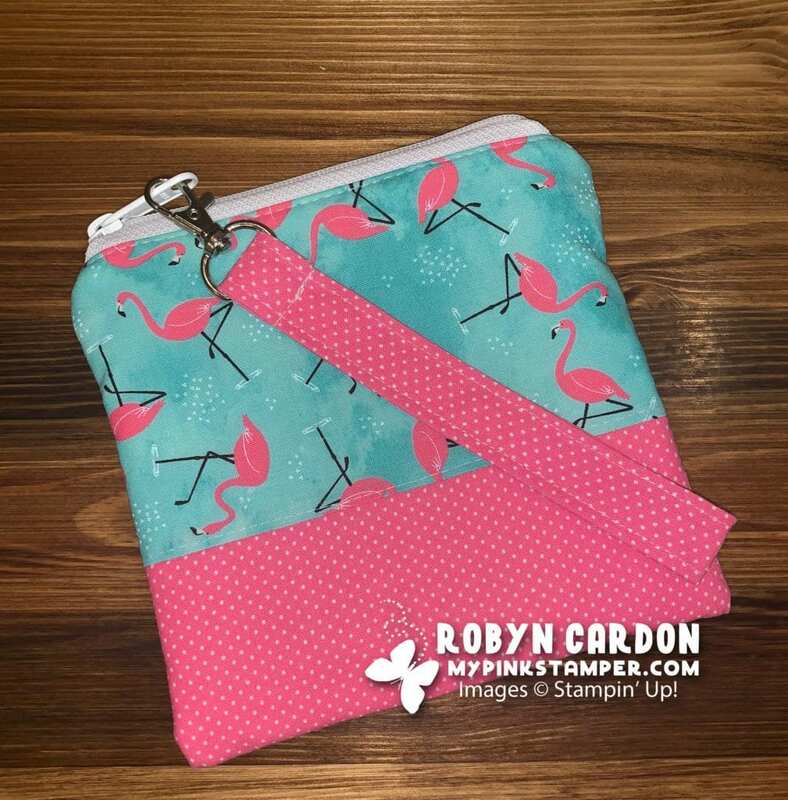 Love the flamingos and the colors on the bag! On Stage was fun! Congrats again on all of your amazing achievements! CONGRATULATIONS on your award & for being a special speaker. I’m sure those were BOTH huge honors! You’ve accomplished a lot & should be very proud of yourself. Love your blog; thanks for sharing! Congratulations!🎈 This is another totally cute bag! I love flamingos!! My nickname in High School was Bird legs! After a guy saw a flamingo hanging in my locker and looked at me, wearing a mini skirt, and called me Bird legs! Lol! That’s quite a group pic in your stamp room! Looks like you all had a great time! And lots of fun at On Stage…. congrats on your awesome accomplishments! So glad to be part of your team! I’m sure you’re a very inspirational speaker. Congrats Robyn! You work so hard you deserve to be recognized. Looks like you all had fun. Glad you had a good time at the event. I wish I knew enough to have a website . That is a reason I hesitate to become a demonstrator. Not enough knowledge and why should I be charged for a monthly website that I don’t know how to manage it. I seriously thought about joining last month because more than the discount, I really, really wanted the tote bag. 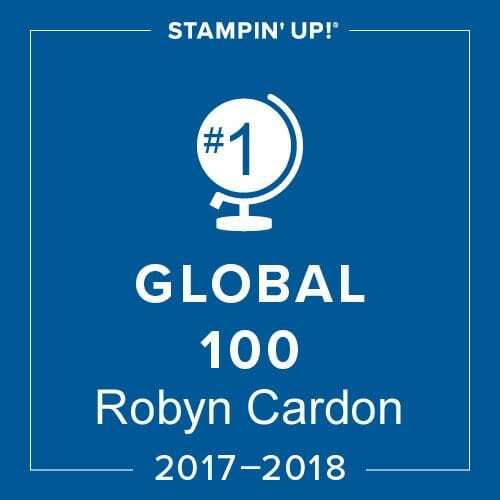 Congratulations Robyn, well deserved! So proud of you. Thank you so very much for sharing photos & information with us. Pretty bag! Congratulations Robyn! Love seeing all the fun everyone had. I would love to win one of your handmade bags. Thanks for the opportunity. Congratulations Robyn! Who doesn’t love flamingos? Always told my students after they presented “But did you die??! ?” lol!! Glad it went well. It sounds like you had a great weekend. Congrats! I bet you did a great job Centre Stage. Congrats on your achievements. Congratulations on your success! The bag is darling! Love the flamingos! Congrats on your milestone! Love the flamingo bag!! Hope had great trip and fun. 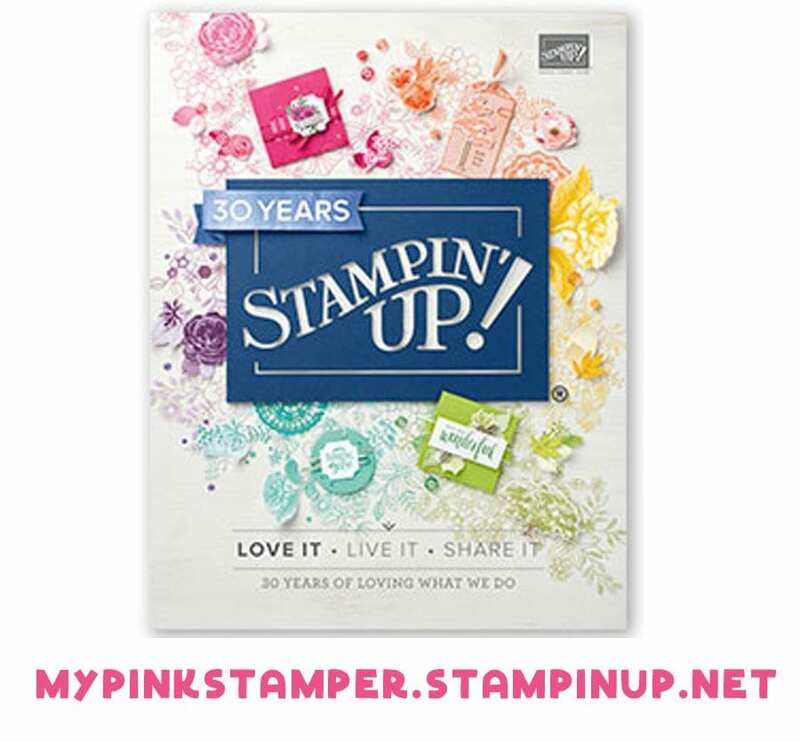 Love your enjoyment with Stampin Up. Great giveaway! Congrats on your milestone. Thanks for sharing all of those pics! Looks like a fun few days!! Thanks for the chance to win! You are so inspiring!! I’ve never wanted to be part of a team before but you are definitely tempting me. As always your work is adorable. Thanks for all you do! Cutest bag ever! I love flamingos! 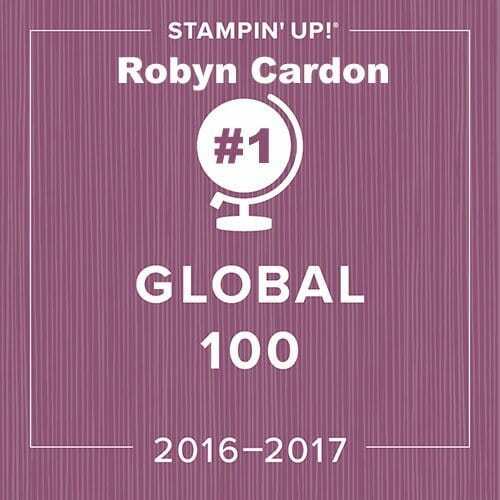 Congrats on all your accomplishments, Robyn! Congratulations Robyn! I can’t wait to see the new products in the new catalog. Love the flamingos! Congratulations on your recognition! Well-deserved! Your enthusiasm is remarkable! Can’t wait to play with my class package that arrived this morning. Oh, AND, I love your bags. This is, by far, my most favorite bag you’ve made. Congrats on your latest SU accomplishment. You can achieve anything you put your mind to. I have no doubt that you will be a Pink Stamper one day and I am looking forward to it! Until then, I truly appreciate you being such a wonderful customer! Cute bag and congrats on your milestone! Such a cute bag! Congrats on reaching another milestone! Congrats on meeting another goal!!!! Looks like you had a great time . I absolutely love flamingos!!! That is the cutest bag you had made so far!!! Such a cute bag. So excited about the new catalog. I just love this bag. It is sooo cure. I LOVE LOVE LOVE THIS BAG!!! It would be so great to win this. One day I’m going to be a pink Stamper. Until than… I’ll just be a loyal customer!!! Oh my gosh ! I must have one of your amazing bags ! Such an amazing sewer ! Looks like everyone had alot of fun!! I watched videos of OnStage from Aukland, New Zealand….I was excited to see some of the new products… it’s going to seem like forever til I get my hands on the new catalog!! Flamingos yikes soooo cute! Glad you had a great time! So glad you had a fun weekend. 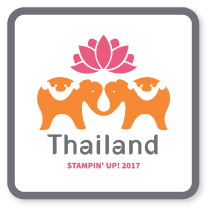 I am looking forward to all the exciting new things Stampin’ Up has in store. I really need this bag!! Flamingos are my jam! I collect them. You are gifted in many ways. Congrats on presenting at the leadership program! I’m sure you did an amazing job. You’re always so knowledgeable and present well :). I’d love to win one of your beautiful bags, thanks for the chance! Look likes everyone had fun! So very proud of you! Congratulations! You are so fortunate to do what you love! You actually wore your glasses- looking so good in them too. Down with vanity! Looks like a blast. Thanks for chance. Looks like a great time. Congratulations! I do love all things flamingo. Congratulations on your achievement. You make us proud.